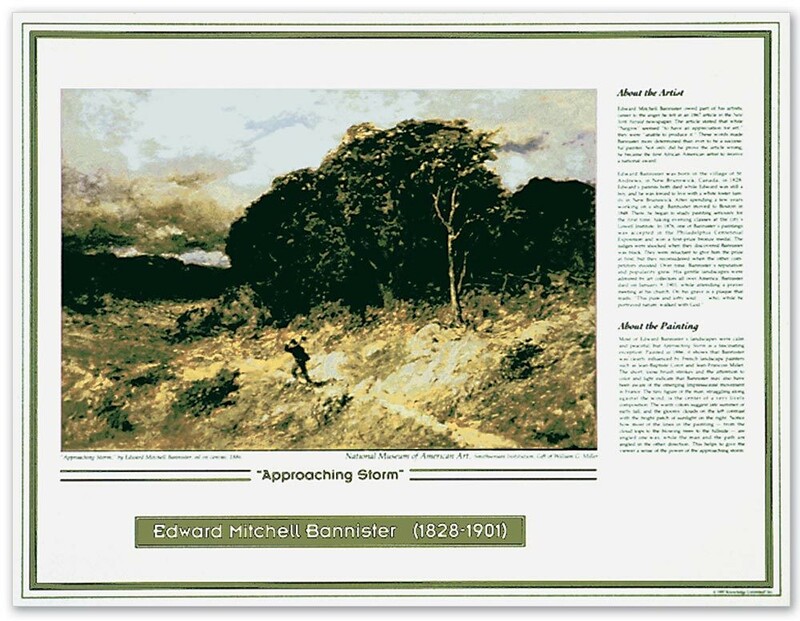 This art poster is one of a series of eight posters that focuses on African American artists. 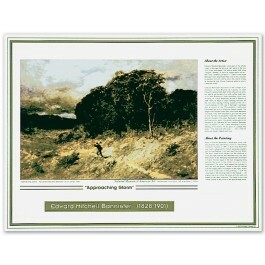 This poster features the 19th century artist Edward Bannister. It includes a full-color reproduction his work, "Approaching Storm," background information on his life, and an analysis of the work shown.